Sports fans want to watch football in February – that’s the indication from Night 1 of the Alliance of American Football. 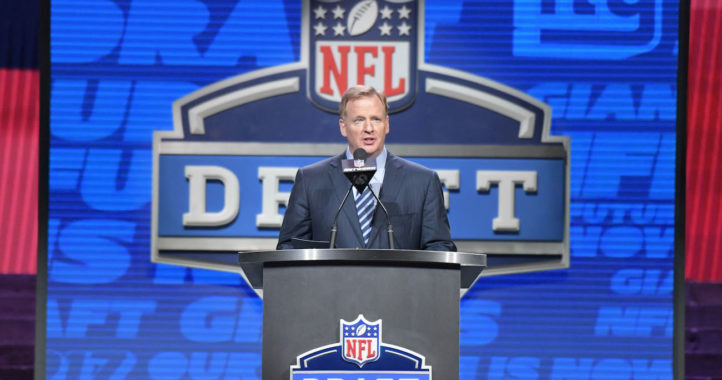 The new professional football league, which embraces its role as a potential feeder league to the NFL, debuted Saturday night with two games shown regionally on CBS in primetime. The new league appears to be off to a strong start as the ratings beat out the NBA on ABC (Houston vs. Oklahoma City). The league’s app was also No. 1 among sports apps in both Apple’s app store and Google Play (Android) on Sunday morning. Four AAF teams were in action Saturday night. 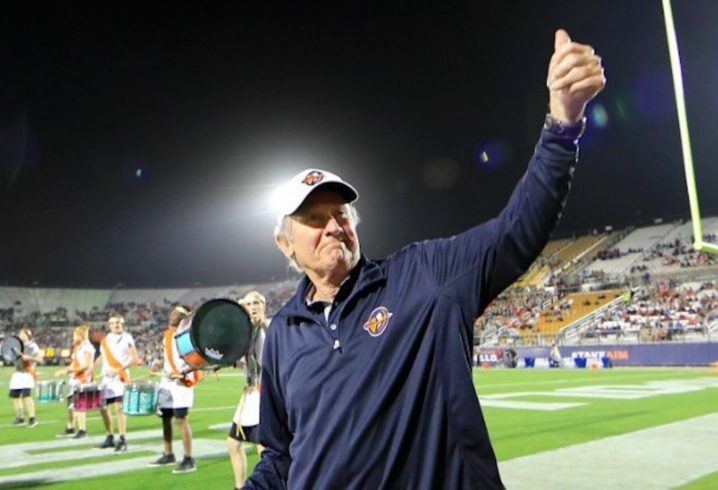 The Orlando Apollos, coached by SEC legend Steve Spurrier, won at home, defeating the Atlanta Legends 40-6. The San Antonio Commanders defeated the San Diego Fleet 15-6. The AAF’s Week 1 action continues Sunday with the Memphis Express at the Birmingham Iron (4 p.m. ET, CBS Sports Network) and Salt Lake Stallions at Arizona Hotshots (8 p.m. ET, NFL Network). How much do Americans like football? The first game of the AAF on CBS beat the NBA on ABC nationwide in overnight ratings. The fact that a low-level football league with no stars and no real sizzle would draw a bigger audience than the NBA in a head-to-head three-letter network competition is stunning. Not too sure about ‘high quality product’. The Birmingham team had this guy arrested last night for solicitation of a ho. Lawrence Okoye, 27, and 12 others were snared in an operation by the Shelby County Drug Enforcement Task Force, the team’s third phase of the ongoing probe since September. He is a British track and field star and holds the British record in the discus event. He previously played rugby but never played football. It’s a little early to draw any conclusions. That number could easily be a high water mark or a low water mark. Certainly a good start, but let’s see if it is the novelty or the product that viewers tune in to watch (I’m sure the AAF appreciates the help though). I’ll keep watching. Liked what I saw. Well packaged product without the drama so far. 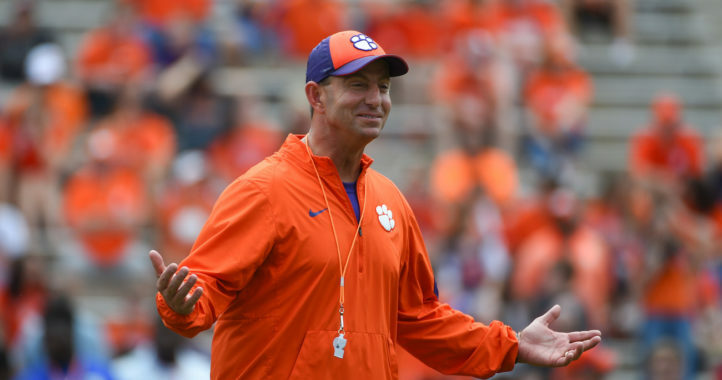 Drama is part of why people like cfb? Also, if it lasts long enough there will be drama. The Atlanta team has a lot of work to do before we can call them a football team. The xfl also started strong. After 2 or 3 weeks that league took a nosedive in the ratings. I’ll hold off on calling it a success for the time being. I hope they have staying power. It’s a good product, but unless they get major network saturation, it’ll be hard for them to stay profitable. I enjoyed watching it very much. It was simply football. Not Arena, not XFL, just plain, ordinary football played the way it’s supposed to be. In that way. it reminded me a bit of the USFL, which I feel was the best non-NFL pro football league ever.